I have a long record of service to the American Society for Bioethics and Humanities (ASBH). Here is the cover of the Annual Meeting program book from 2014. I co-chaired this meeting with Rebecca Garden and Sarah Shannon. Collected below are the PowerPoint files, handouts, and audio recordings related to the session "Top Ten Legal Developments in Bioethics" that I helped organize and in which I participated for several years. Also collected here are materials from other ASBH sessions in which I participated. In 2011, the "Top Ten" panel was again accepted for inclusion at the Annual Meeting (Minneapolis). But I, instead participated on a panel titled "Impact of State Legislation on Ethics Committee Case Review." In 2014, the "Top Ten" panel was again accepted for inclusion at the Annual Meeting (San Diego). But I, instead presented "Mandatory Reporting Guidelines for Hospice Workers." I co-chaired the Program Committee in 2014. 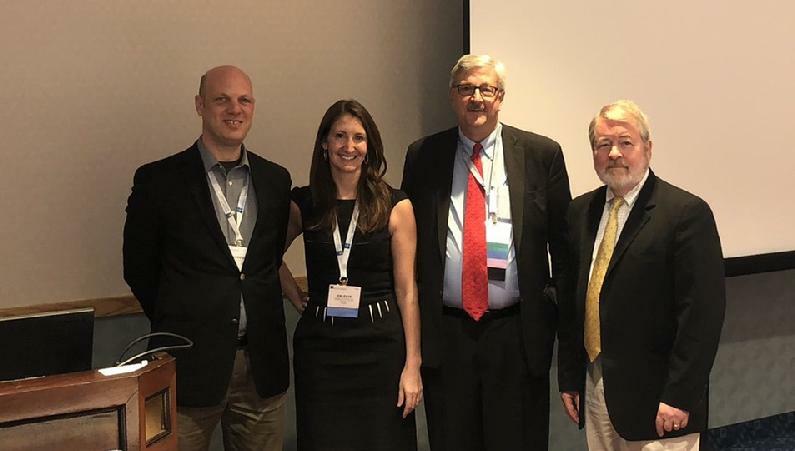 Legal Update 2015: Top 10 Legal Developments in Bioethics, ASBH 17th ANNUAL MEETING, Houston, Texas (October 22-25, 2015). The Unbefriended Must Not Be Unprotected: Organizational and Clinical Management of Patients Without Surrogates, ASBH 17th ANNUAL MEETING, Houston, Texas (October 22-25, 2015). Bioethicists Must Engage the Public: Using Social Media to Advance Public Literacy in Bioethics, ASBH 18th ANNUAL MEETING, Washington, DC (October 8, 2016). Top 10 Legal Developments in Bioethics, ASBH 18th ANNUAL MEETING, Washington, DC (October 8, 2016). Top 10 Legal Developments in Bioethics, AMERICAN SOCIETY FOR BIOETHICS & HUMANITIES (ASBH) 19TH ANNUAL MEETING, Kansas City, Missouri (October 20, 2017). One Patient, or Two? Brain Death and the Pregnant Patient, AMERICAN SOCIETY FOR BIOETHICS & HUMANITIES (ASBH) 19TH ANNUAL MEETING, Kansas City, Missouri (October 21, 2017). Meet the Professor, AMERICAN SOCIETY FOR BIOETHICS & HUMANITIES (ASBH) 19TH ANNUAL MEETING, Kansas City, Missouri (October 20, 2017). Effecting Change & Impacting Policy - Law & Bioethics Affinity Group, AMERICAN SOCIETY FOR BIOETHICS & HUMANITIES (ASBH) 19TH ANNUAL MEETING, Kansas City, Missouri (October 21, 2017). Ethics Committees Are Not Just for Hospitals: Advancing Person-Centered Care in Long-Term Care Facilities, AMERICAN SOCIETY FOR BIOETHICS & HUMANITIES (ASBH) 20TH ANNUAL MEETING, Anaheim, California (October 18-21, 2018). 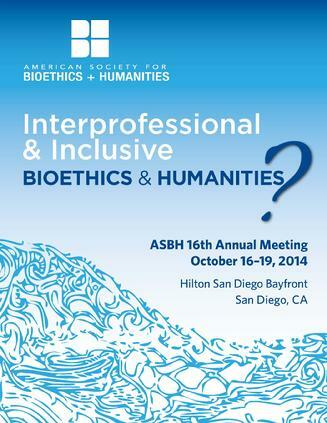 Top 10 Legal Developments in Bioethics, AMERICAN SOCIETY FOR BIOETHICS & HUMANITIES (ASBH) 20TH ANNUAL MEETING, Anaheim, California (October 18-21, 2018).